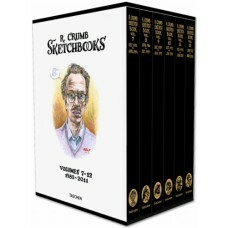 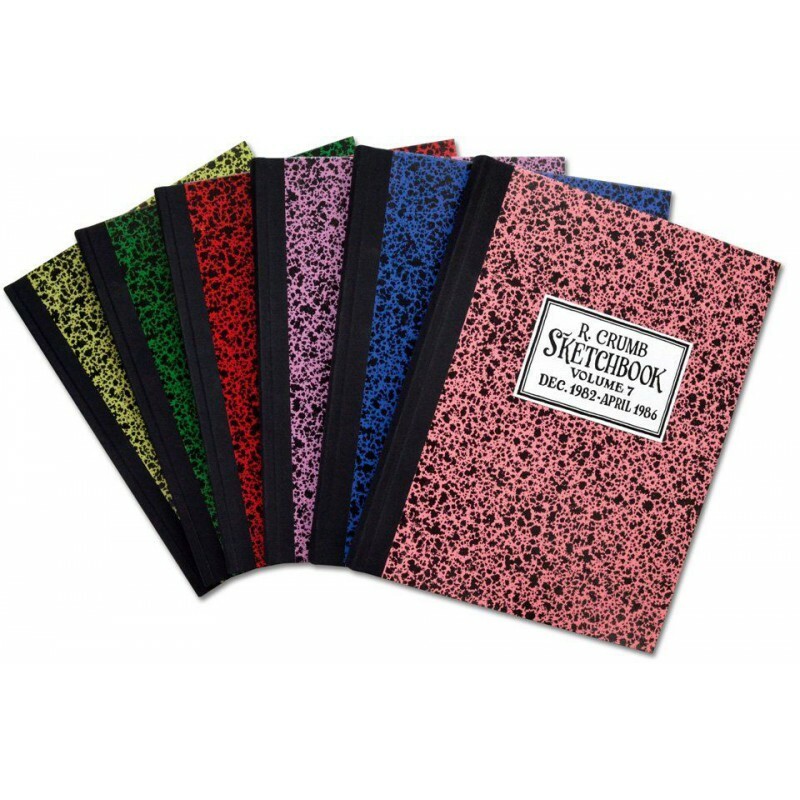 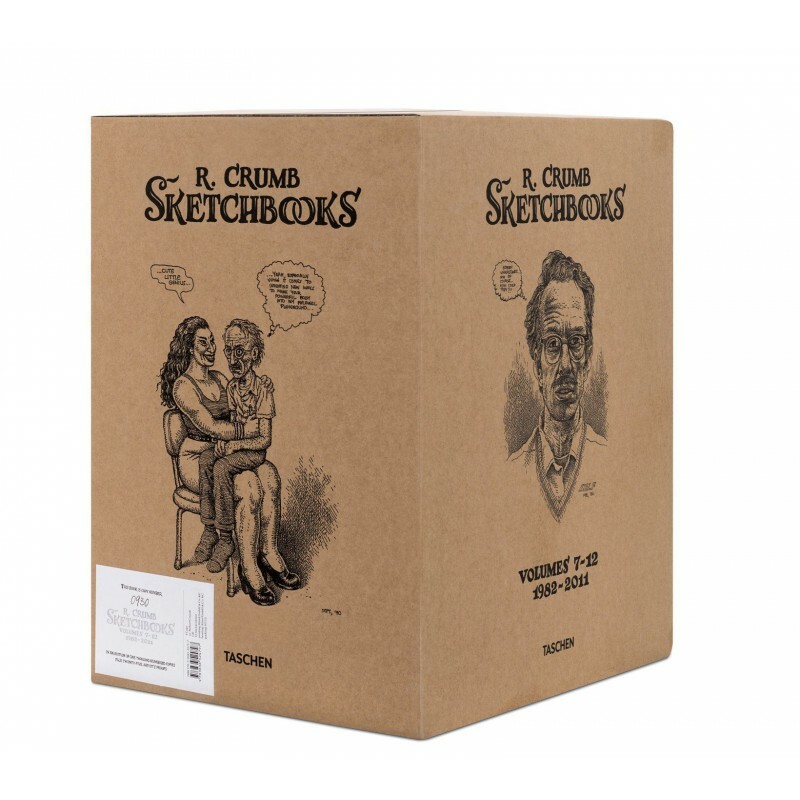 This six-book boxed set is the first collection of Robert Crumb sketches to be printed from the original art since the hard-bound, slipcased, seven volume series issued by the German publisher Zweitausendeins between 1981 and 1997. 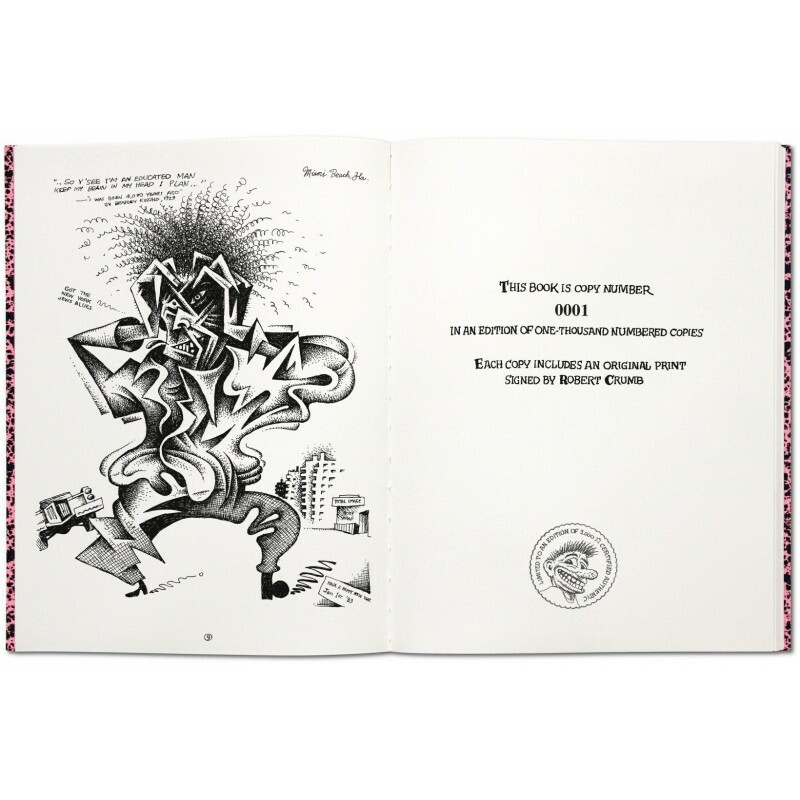 Unlike the Zweitausendeins edition, which included every doodle ever made by the preeminent underground artist, our best-of edition has been personally edited by the notoriously fastidious artist to include only what he considers his finest work, including hundreds of late period drawings not published in previous sketchbook collections. 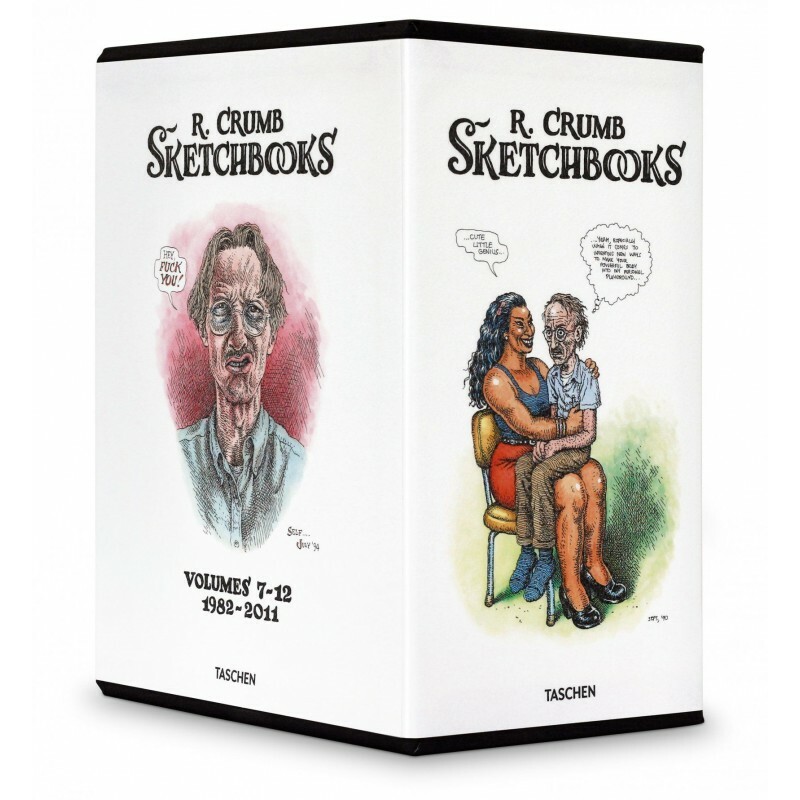 Robert Crumb requested that the books representing the second half of his career be published first due to fan demand for new Crumb material (Volumes 7-12 cover the period 1982-2011, and the forthcoming Volumes 1-6 will cover the period 1964-1981). 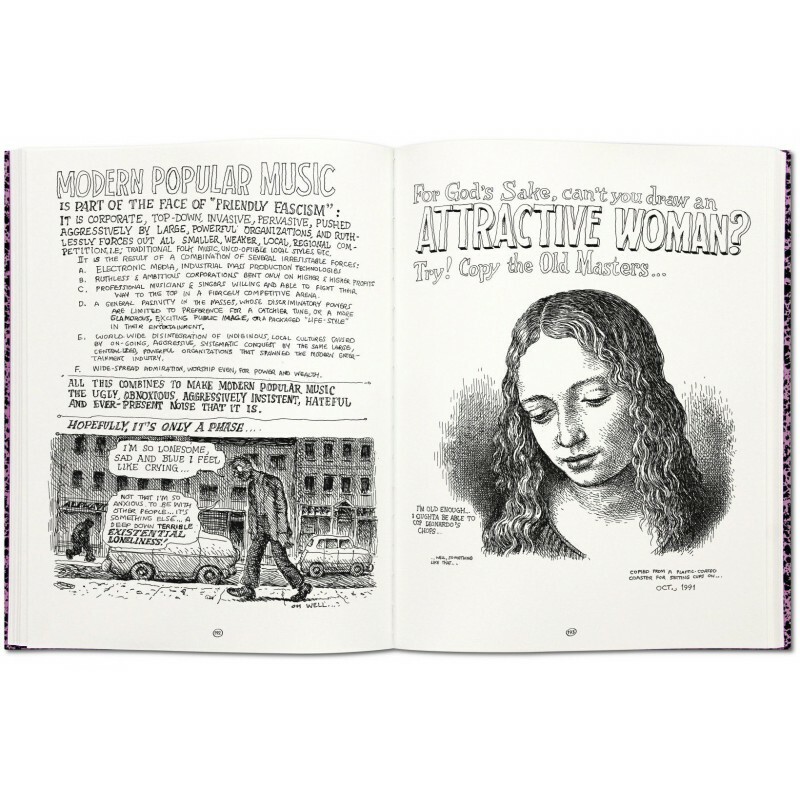 In the last 20 years Crumb’s artistic output has slowed considerably, making new works more rare and highly prized. This collection of over 600 unseen drawings created between 1982 and 2011 makes this a must-have collectible for every Crumb fan. 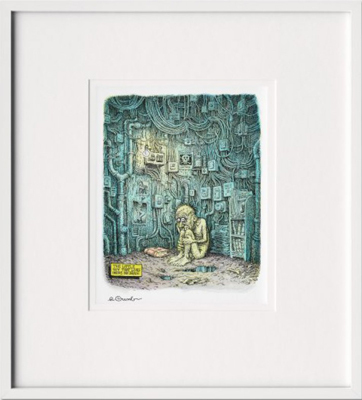 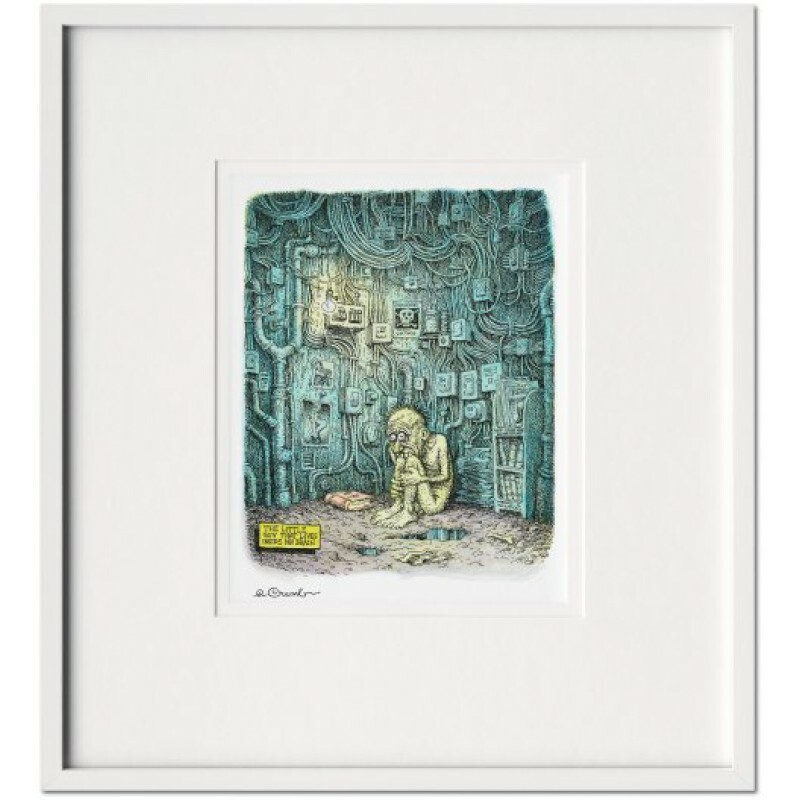 Each set of this 1,000-copy limited edition also includes a signed color art print of the Crumb original The Little Guy That Lives Inside My Brain.